Proposals have long floated around to eliminate the Canadian penny but recently a senate committee report recommends killing the penny. Note that we are not the only country to have this debate as New Zealand and Australia have already eliminated their pennies in 1990 and 1991 respectively and the United States have also had ongoing debates to eliminate the American penny. As well as the manufacturing and distribution costs, pennies add a burden to business in that they have to accept them and count them. In the United States it has been estimated that the extra time of handling pennies in transactions is worth more than $300 million. As some have noticed, there is a hassle of having pennies and other change and have created machines to allow you to exchange change for bills. These machines often take a cut of the money (often 7-10%) although some banks are piloting free change machines. How would I pay without pennies? With the elimination of the penny, cash purchases would likely be rounded using the Swedish Rounding method which was used when Sweden removed their 1 and 2 Ã¶re coins from circulation. Basically, purchases ending in 1, 2, 6 or 7 are rounded down to the nearest nickel. Purchases ending in 3, 4, 8 or 9 are rounded up to the nearest nickel while purchases ending in 0 or 5 are left unchanged. Electronic payments such as debit, credit cards and cheques would be paid to the penny in the exact amount and no rounding would be necessary. I haven’t seen any indication as to whether the House of Commons will follow the Senate’s recommendation and introduce a bill to get rid of the lowly brown cent or whether the recommendation will gather dust on a bookshelf as the value and usefulness of the penny keep dropping. Personally I hope that they proceed to eliminate to eliminate the penny. My pockets will become a lot lighter; besides I haven’t seen penny candy available anywhere in a long time. Google has released Google Maps for Android and has made major modifications to how maps are rendered. This is major update with some really interesting new features. Google is really paying attention to the needs of mobile users and making Google Maps for Android one of the premier apps for their mobile OS. 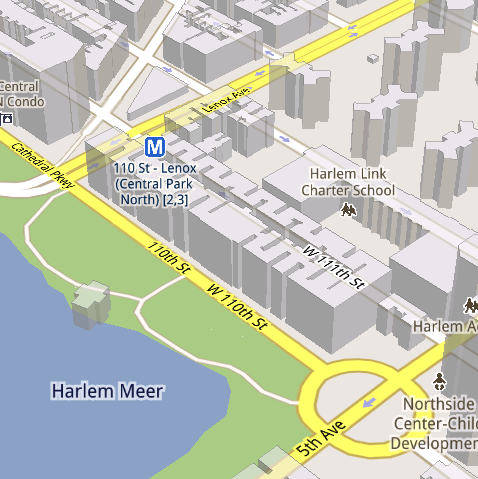 1) Vector maps: Maps now uses vectors to draw maps instead of bitmap images. This allows for easier zooming, rotation and markup. 2) You can now use a compass mode to have the map rotate as you change directions. Labels will also be redrawn to face you. 3) 3D buildings are now displayed when available for increased realism. 4) Better offline capabilities: With the change to vector formats, it is now possible to perform limited zooms in and out without having network connectivity. This updated version will also pro-actively cache some detailed views around your frequent places so that you have access even if you connectivity is unreliable. See: Official Google Blog: Under the hood of Google Maps 5.0 for Android. The browser wars are still in full swing with major browser implementers fighting for which company can bring the fastest and most compatible web browsing experience for users. The status of the ongoing battle can be judged by looking at the recent release of Microsoft’s IE9 previews, Firefox 4 beta release and now Google has released a Chrome 8 beta which has many nice and intriguing new features. These features include support for Web GL specification which aims to bring plugin-free 3D to the web. All major browser vendors except for Microsoft are part of the WebGL Working Group and so it is anticipated that eventually the specification will be supported by most browsers. Along with WebGL support, the new Chrome update support hardware acceleration which lets your graphics card offload any graphics intensive processing from your CPU in an effort to speed up web page display times. The most innovative introduction to Chrome is a feature called Instant which like Google’s instant search feature predictively begins to load and display pages or web sites as you type in the URL. Instant will also take advantage of URL search auto-completion from Google Instant to complete URLs as you type based on Google’s search volumes.Ã‚Â It will take some time to see how this feature works in the wild and whether it becomes an annoyance or a pleasure to use.Ã‚Â I anticipate that if you are on a fast network connection, Chrome Instant will be a nice enhancement to an already solid browser. Will Internet Explorer 9 provide some browser competition? The federal Liberal government has recently released a party initiative designed to open up and add transparency to government. This move is following a major trend in other countries such as the United States and the UK as well as municipal governments such as Vancouver which have adopted similar open government policies. As noted by Micheal Geist and Elizabeth Judge note, there may be some complications implementing some of these proposed ideas due to legislation such as the Crown copyright which would also need to be changed in order to allow unrestricted access to government data and reports. I love the initiative and would be interested to see similar policies from the other major federal parties. Google has recently released Google Earth 5.2. There are some really nice new features including visualization of tracks captured by GPS devices. Installing under Fedora Linux can be a bit of a challenge if you have SELinux enabled. SELinux is feature which provides the ability to have access control policies which confines processes and users to the minimum required access level. For example the httpd process can be confines to only have access to files under it’s document root. Because of this confinement, there is a decreased risk if the httpd process were to become compromised and damage due to a security flaw is minimized. The default install of Google Earth does not properly set the proper SELinux access controls and so if you have SELinux enabled, Google Earth will not start properly. One option with I’m sure that many people have done is to completely disable SELinux. Although this approach will get Google Earth working, it eliminates the benefits of SELinux and makes your computer less secure than it could be. Now Google Earth runs beautifully under SELinux. Browsing the web can be a quiet experience. Except for the odd Flash based video, web pages are typically quiet and don’t have any sounds associated with them. The new W3C HTML 5 specification introduced a new audio tag which finally allows web pages to play sounds natively without having to resort to plugins such Flash or Java. Following on the introduction of basic audio, the W3C has formed and Audio Incubator Group which according to the group’s charter will explore possibilities of reading or writing raw audio and synthesizing speech or sound. Members of the incubator group include Mozilla, the BBC and Google. I think that it will be interesting follow this group and see what this incubator group comes up with. Fredericton, New Brunswick has been featured as a Google Earth Cities in 3D success story. In January 2010 over 100 3D representations of buildings were added to Google Earth. These models are photo-textured and have quite a bit of detail in them. The City of Fredericton in collaboration with the nearby Canadian Forces Base Gagetown’s Army Learning Support Center for Tactics School developed the models. The city provided a lot of the data and the Armed Forces group created the models which they use for simulations and tactical training.Ãƒâ€šÃ‚Â They also integrated the 3D models into a first person game to teach tactics and for simulating various possible scenarios. By uploading and sharing the models with the rest of the world through Google’s cities in 3D program, the groups have allowed others to get a different perspective. As a fringe benefit, it strengthens Fredericton’s reputation as a city on the forefront which understands, promotes and uses technology in everyday life. Considering that Fredericton is a high tech city and home to IT firms such as RIM, CGI, Radian6 and the National Research Council, this is a good reputation to promote. The Android mobile platform has a lot going for it. It has a large mind share thanks in part to its huge backer, Google. Android also has something that Apple’s iPhone platform lacks: Diversity in devices and vendors. The Open Handset Alliance which backs the Android platform consists of 65 members from various parts of the mobile industry such as handset manufacturers such as HTC, Sony and Toshiba along with semiconductor companies such as Intel and Nvidia to software providers such as Google and eBay to mobile network providers such as NTT Docomo and Verizon. The members’ diverse backgrounds, business models and needs ensures a healthy mix of devices, services and software for the platform. Although a healthy diverse mix of devices and implementations is healthy, it can also lead to problems such as fragmentation. Fragmentation can occur when different implementations have different core feature set and different user experiences. With the iPhone platform, once you’ve used an iPhone you know that all of the iPhone devices will behave the same and run the same applications and have a similar user experience. With Android however, you can get radically different experiences based on handset being used as well as the Android version being used. Some handset vendors have implemented their own UI customizations such as Mototola’s Blur and HTC’s Sense which alter the user experience even more and can prevent or delay uptake of new operating system revisions as they are released. Depending on the customizations, developers must also consider how their applications might work in each of these customized environments. As any web developer knows, having to support multiple browsers is not a fun tasks. Supporting multiple slightly differing mobile platforms isn’t considered fun either. Worrying how you application will look or run at 10 different possible resolutions is much more of a pain than iPhone’s 1 resolution fits all model. As users may be stuck waiting to a handset vendor to provide OS upgrades, they may be unable to install of use some applications. For example, the recent release of Google Earth will only run on Android 2.1 or later which most Android handsets are not yet running. Google has started trying to address the fragmentation issue. One of the approaches is to decouple upgrade of major applications and components from the Operating System. By being able to upgrade major components independently, users could simply download the latest and greatest without having to wait for their slow vendor to provide upgrades. Being able to easily upgrade the browser or the input functionality could reduce the number of people running different feature sets and different levels of code. If you can run all of the latest applications and code, do you really care if you are on the latest OS or not? Google has also stated that development and releases of the core Android OS will most likely slow down soon as the platform has matured and there will be more focus on applications and features built upon the more stable core. Hopefully Android users will be able to get the best of both worlds, a diverse set of handsets, applications that will run on all devices and not have to wonder if they are betting on the right handset vendor.